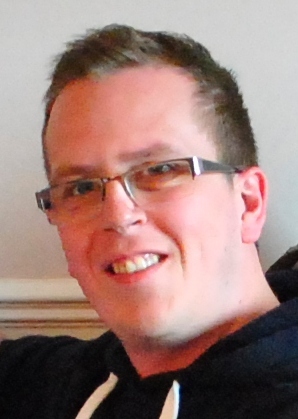 Mark Keeble, Occupational Therapist at Brookdale Care (part of the Tracscare Group), looks at how Therapists can support autistic adults with behaviours that challenge to develop techniques to self-regulate their reactions to sensory stimulation. Crucially, with the right support these techniques can enable individuals engage in meaningful activities and develop the skills they require to live more independently. As an Occupational Therapist with seven years of experience, I have had the privilege to support people on the autism spectrum with a wide range of therapeutic and support needs. The people I support on a daily basis in my current role often visit Milton Park Therapeutic Campus following a crisis, which has meant they have been unable to be supported by community services. Upon arrival, the majority present with challenging behaviour. From difficulty processing information to boredom and restlessness or a combination of many factors, there are numerous causes of challenging behaviour. The individuals are often unable to communicate these difficulties which can lead to anxiety, anger and frustration, and challenging behaviour is the resulting external response. Sensory interventions, and the idea of a sensory diet, have been around since the 1970s and they underpin the theory to help reduce challenging behaviour in individuals with autism. Whilst sensory integration remains a prevailing and important issue for autistic adults with challenging behaviour, from my experience, research and information in this field has traditionally been directed towards supporting children and young people. Therefore, I have undertaken much independent research to develop effective programmes for the people I support. The technique that I have found to be the most effective in supporting an individual with autism develop techniques to self-regulate their challenging behaviour and learn how to maintain a level of tranquillity is the Keep Calm Kit. Of course, many individuals with Autistic Spectrum Condition do not have sensory processing difficulties and those who do are often able to self-regulate independently, finding their own management strategies. However, for individuals who are unable to do this, yet have the cognitive ability and are willing to engage, the Keep Calm Kit has been a very successful tool. Upon arrival and following a sensory assessment, the individual is provided with the kit - a box of objects known to help individuals with challenging behaviour. This box contains objects which can have a calming effect – from ear defenders to stress balls, a calming scenery picture book and scented moisturising cream. Diagrams outlining breathing and chair exercises are also included. Careful consideration is given to items put into the kit. Whilst they must effectively support the individual, they must also be appropriate for the environment at Milton Park. Developing and applying sensory diets and interventions for adults at Milton Park, in a hospital setting, where care must be taken not only for the person we are supporting but other people at the service, is consistently the most important challenge. Questions I regularly ask myself include: Will this be a risk to the individual? What could happen if others on the ward find the kit? For example, weighted or easily breakable objects such as a relaxation CD or weighted lap pad can be beneficial but also could prove a risk for the individual, staff and other people if used as a weapon or to self-harm. Further, games often used for children, for example wheelbarrow games are not appropriate in the hospital setting. Once a risk assessment has been completed, the person we support is encouraged to explore the items within their individual Keep Calm Kit and use them regularly, at least four times each day when at baseline behaviour level. Their use of the items in the kit is regularly reviewed and we monitor what they are and are not using. For example, if an individual does not have sensitivity to noise and enjoys visual objects, the ear defenders are removed and mandalas (calming patterns) are added to the calming scenery picture book. If proactively used, the kit can help the individual remain at the ‘Just Right’ level and can also be used at early stages of escalating behaviour. An example of this can be seen through a recent individual who presented with extreme anxiety – he was in trigger phase for the majority of the day – and was extremely difficult to keep calm. He was also prone to hitting his head against the wall. Following an immediate sensory assessment, he was given a Keep Calm Kit, which included a weighted blanket, vibrating pillow and a back massager. Using the kit regularly throughout the day has significantly reduced his challenging behaviour and he is now able to effectively self-regulate his behaviour using the objects in his kit. When hospital intervention is necessary, using the right tools is crucial to improve the individual’s stay and limit their time in the hospital. 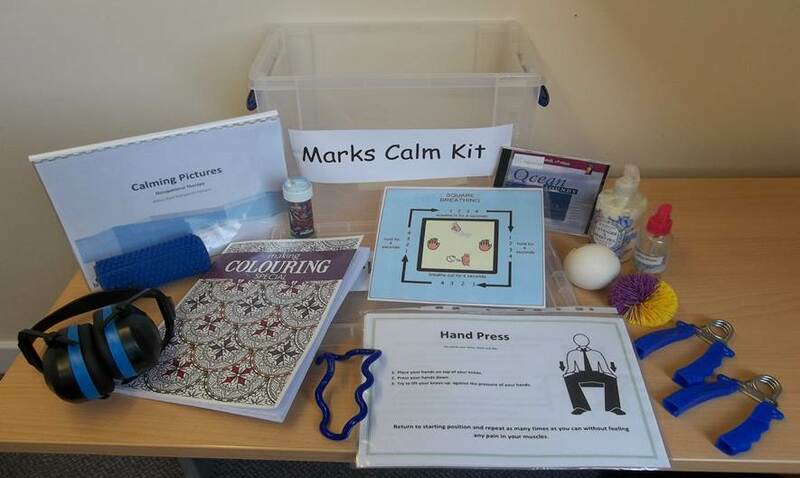 Whilst more research is needed in the care of adults with Autism and challenging behaviour, existing resources such as the Keep Calm Kit can be very effective in supporting autistic adults with challenging behaviour to self-regulate their behaviour. If utilised successfully the kit can provide an important part of the programme of support, alongside a team of specialist clinicians that pave the way for a life of greater independence for the individual.